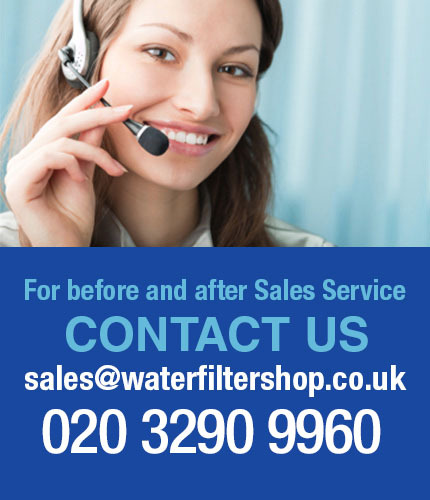 ✓ Two Black Filters changed every 22,700 litres! The versatile Big Berkey™ system is the ideal system for use at home with small or medium sized families, travel, outdoor activities or during unexpected emergencies, making it the perfect portable gravity water filter system for all needs. 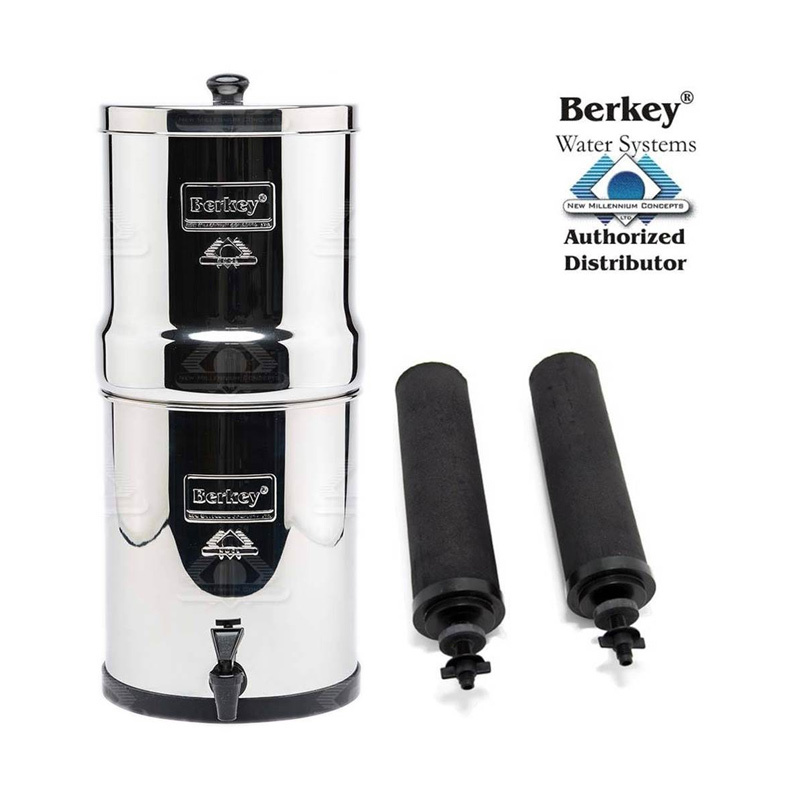 This powerful Big Berkiey system purifies both treated water and untreated raw water from such sources as remote lakes, streams, stagnant ponds and water supplies in foreign countries, where regulations may be substandard at best. Perfect for everyday use, outdoor activities and a must in hostile environments where electricity, water pressure or treated water may not be available. 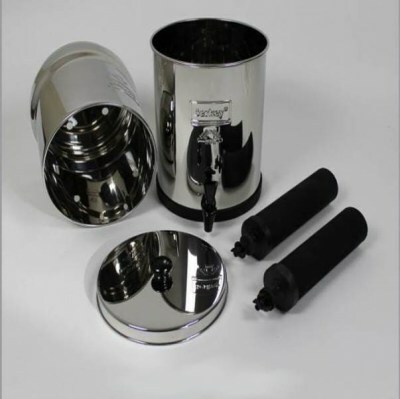 The versatile Big Berkey™ system removes viruses, pathogenic bacteria, cysts and parasites and extracts harmful chemicals such as herbicides, pesticides, VOCs, organic solvents, radon 222 and trihalomethanes. It also reduces rust, silt, sediment, foul taste and odours and unhealthy minerals such as lead and mercury. This system is so powerful it can remove red food coloring from water without removing the beneficial minerals your body needs. Virtually no other system can duplicate this performance. Constructed of highly polished 304 stainless steel, the system comes complete with two purification elements and utilises the latest technological advances. This system has a storage capacity of about 8.5 liters and when in use it stands 19.25" in height with a diameter of 8.5". The upper chamber nests within the lower chamber for transport and stands only 13" in height. 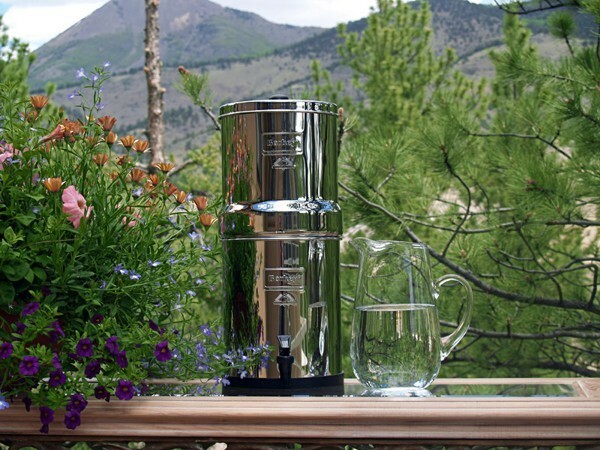 Configured with two Black Berkey™ Purification Elements the system will purify up to 13.3 liters per hour*. This system can be expanded to use four purification elements and is capable of purifying up to 26.5 liters per hour*. *Flow rate calculated with upper chamber full to top. Flow rate decreases as water level declines. Labeling may vary to fulfill orders during periods of heavy demand.